I have never been a person that is particularly interested in sports, but I am deeply interested in the stories that surround them. I like to hear about the underdog that has been able to pull through to greatness. I enjoy how teams come from a heartbreaking loss to a victory that no one seemed to see coming. I also enjoy the stories of how through sports individuals are able to connect and share in a way that nothing else would allow. San Francisco Giants: A Fan’s Journal by Joseph Sutton gives us all the above and so much more. 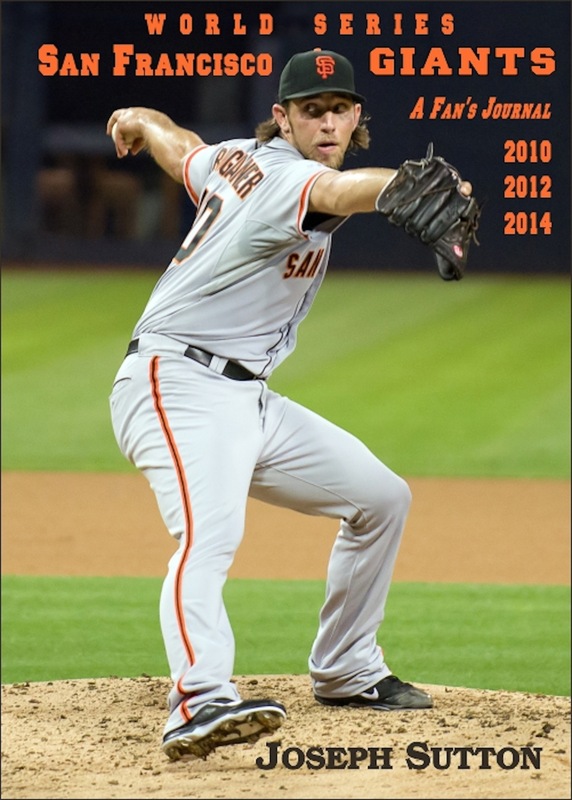 We are not only able to see how the San Francisco Giants came to win three World Series titles in five years, but how those reflections brought the author back to the memories of how baseball has shaped not just his life but that of his son Ray. We are able to see how baseball helped to not just bring them together but to also teach important lessons along the way.